How well does your school teach children to read? In every city, state, and district, some schools are far more effective than their demographic peers. These charts will help you to identify the best schools in your district and state. Steps you can take if your school is a low performer. Click here for a quickstart guide to creating charts. Best with Explorer, Safari, & Firefox. For the last nine years, the Education Consumers Foundation has worked to inform parents and others in Tennessee of the performance of their local schools. Now, ECF is taking the lessons it has learned about consumer empowerment and bringing them to other states. Mindful that parents, taxpayers, and their elected representatives cannot make informed distinctions about schooling without sound evidence about student achievement, our goal is to put the mountains of publicly available data into a format that it is easy to use and understandable to most stakeholders. 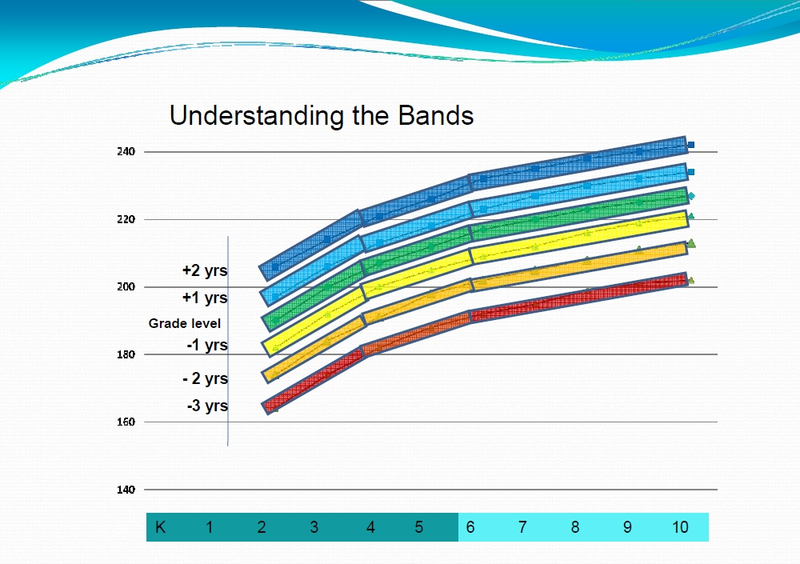 The centerpiece of our effort is the development of charts and interactive graphics that simplify data interpretation. Much of our time, however, is consumed by simply locating, interpreting, and extracting data from online sources. Despite national reporting requirements, most states’ public reports are not particularly informative or easily rearranged into formats that would be more useful. Also, be aware that states develop their own tests and standards–ones that are (with exceptions) far less rigorous than the longstanding National Assessment of Educational Progress (see the comparison here). For those states with a particularly high degree of score inflation, we provide an additional chart showing the percentage of “advanced” students in each school–a statistic that would represent a more realistic assessment of student achievement. The foundation’s first area of focus is on 3rd grade reading proficiency, arguably the most critical indicator of a student’s educational success. 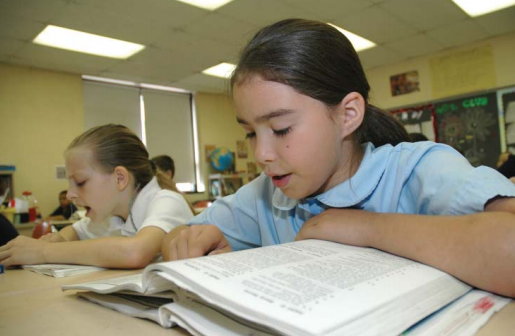 The focus of schooling changes from learning-to-read to reading-to-learn after 3rd grade. Children who have not mastered reading by that point are handicapped for a lifetime. They cannot optimally profit from subsequent schooling or be all they can be in life. Schools and teachers overloaded with weak readers are inevitably rendered costly, inefficient, and ineffective. Each of the charts shown via the links to state pages (above) permits users to get a bird’s-eye view of how their school’s 3rd graders compare with all other schools in terms of both achievement and economic disadvantage. The most obvious implication of this data (click the “All Schools” button on each chart) is that huge numbers of children in all states are not learning to read by 3rd grade. This fact is at the heart of most of America’s educational (and economic competitiveness) problems. Second, there is a strong relationship between economic disadvantage and 3rd grade reading proficiency. Disadvantaged children are typically entering school two or three grade levels behind their peers. The third obvious implication is that some schools substantially exceed the performance of their demographic peers while others fall well short. These differences in outcomes frequently (but not always) represent important differences in the effectiveness of the school’s reading instruction program. A wealth of evidence suggests that the early use of intensive, skill-focused reading instruction could enable the vast majority of at-risk children to reach grade level by 3rd grade. Click here for ECF’s recommendations. The data displayed in each chart is downloaded from public sources. Click the “About this Chart” link at the upper right for details and sources. Note that most states do not make the school performance data for a given school year publicly available until the midpoint of the next school year. Also be aware that each state has its own tests and score interpretation system, so the proficiency percentages seen in ECF’s charts cannot be compared from state to state. State tests differ with respect to standards (i.e., expected knowledge and skill levels), with respect to scale scores defined as “proficient,” and even with respect to the terminology used to designate reading performance levels. Most states, however, follow the practice of the National Assessment of Educational Progress (NAEP): Students who have mastered reading are said to be “proficient” or “advanced” and students who fall short of mastery are said to be “basic” or “below basic.” Differences in this language will be noted in individual charts. Because most schools have at least a small percentage of students with serious reading disabilities, most states have few schools with 95-100% proficiency rates. However, in the case of states where very many schools report proficiency rates in excess of 90%, ECF provides an additional chart showing the percentage of students who have reached an “advanced” level of reading performance, i.e., a chart showing the percentage of students who have reached a higher cut score on that state’s reading assessment. We believe that such a chart provides users a more nuanced view of reading achievement differences between schools in states with relatively low minimum standards. A more objective assessment of the standards maintained by states can be inferred by comparing the percentages of students designated as proficient by the state with the percentages found by the NAEP’s independent assessment. Click here to view a comparison of state NAEP averages created by the U. S. Department of Education, Institute of Education Sciences; you can also see charts here comparing each states’ proficiency rates to those of NAEP for 4th and 8th grade reading along with charts for math and science. A national campaign to increase percentage of children who have mastered reading by grade 3 is being led by the Anne E. Casey Foundation. Readiness for college or the workplace is closely linked to 8th grade readiness for high school and readiness for the 8th grade is substantially predictable from reading and math skills at grade 4. Inflated Reading Scores: Truth in Advertising? Many states report much higher rates of reading proficiency than does National Assessment of Educational Progress, some by over 200%. 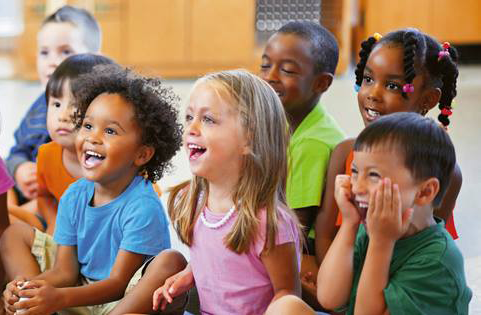 Early childhood educators have begun to quietly move away from their long-advocated "developmentally appropriate practice" doctrine because it discourages the early and accelerated instruction needed by disadvantaged children. If a child enters kindergarten well behind his peers and gains only one year of achievement each year in school, he will remain well behind at graduation. Disadvantaged children must receive the kind of instruction that produces "catch-up" rates of learning. Written by veteran journalist Shepard Barbash over a period of 10 years, Clear Teaching is a well-researched, highly readable introduction to Direct Instruction (DI). Can be used for individual tutoring or small group instruction by teachers, aides, volunteers, etc. Inexpensive, effective, and requires about a half day of training. Reading instruction that is effective with 90% of students has been available for 40 years but is not widely taught in schools of education-a very unfortunate but not atypical case of institutional inertia. Known effective practices often take decades to become widely adopted. For example, it took nearly 50 years for the British Navy to provision ships with limes despite massive losses of sailors to scurvy and the availability of a known cure!